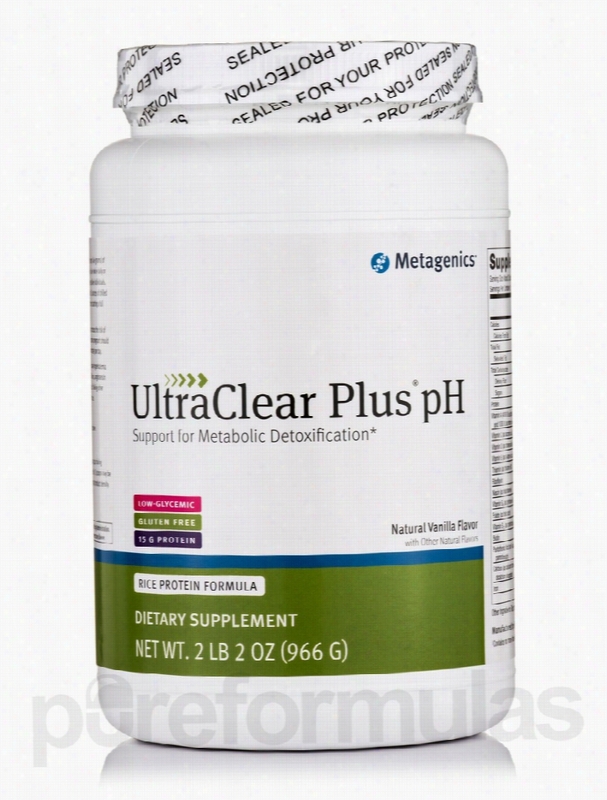 Metagenics Detoxification - UltraClear Plus pH Rice Protein Formula. Metagenics&rsquo; UltraClear Plus pH Medical Food delivers nutritionally sound support for people with chronic fatigue syndrome. It provides the very same safe&sbquo; effective&sbquo; and clinically tested macro- and micro-nutrient profile as UltraClear PLUS&sbquo; with the additional benefits of ingredients that enhance the crucial Phase II detoxification process and facilitate the excretion (removal) of toxins through the kidneys. This product is available as a powdered beverage mix&sbquo; with a natural vanilla flavor that comes with a hint of sweetness. This great-tasting&sbquo; effective nutritional supplement offers relief if your with urinary pH levels are acidic&sbquo; or if you suffer from chronic fatigue syndrome. What can this food replacement product do for you? It contains sesame powder&sbquo; which delivers extra support of Phase II detoxification activities. It facilitates the excretion of toxins from the body&sbquo; removing unhealthy substances. It stimulates alkalization of urine and supports liver detoxification. It provides a strong defense against potential damage done by the reactive oxygen compounds that may be produced as part of the hepatic detoxification procedure. Ingredients contained in this supplement include vitamin A&sbquo; vitamin C&sbquo; vitamin D&sbquo; vitamin E&sbquo; calcium&sbquo; iron&sbquo; and a diverse array of B-vitamins. All you need to support your nutritional needs is two scoops mixed with water or juice twice daily. Each serving contains just 150 calories! One bottle provides 21 servings. If you want to vary your taste buds&rsquo; experience&sbquo; UltraClear Plus pH Medical Food is also available in a Natural Pineapple Banana flavor. Metagenics creates innovative supplements that help people overcome the symptoms of chronic diseases and maintain their health. Quality and research is paramount&sbquo; and has been since the company was founded in 1983. All active ingredients in Metagenics Products have been demonstrated effective by third-party scientists. Its formulas have been imitated but never duplicated. These statements have not been evaluated by the Food and Drug Administration (FDA). These products are not meant to diagnoseÃ¢ÂÂ treat or cure any disease or medical condition. Please consult your doctor before starting any exercise or nutritional supplement program or before using these or any product during pregnancy or if you have a serious medical condition. 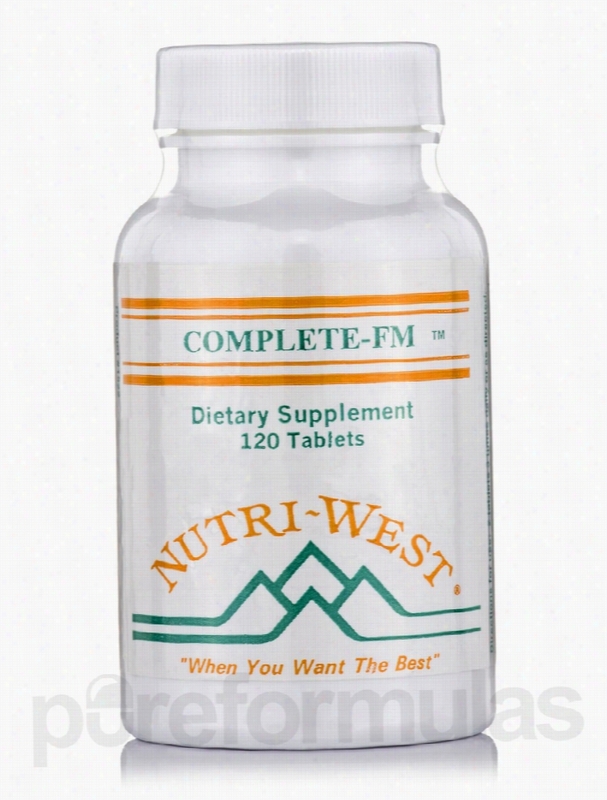 Nutri West Joint Support - Complete-FM - 120 Tablets. Complete-FM from Nutri West is a dietary supplement designed to possibly provide nutritional support for your joints and muscles. When you review the ingredients of Complete F-M the first thing you may notice is that it provides 3 essential Minerals: calcium&sbquo; magnesium&sbquo; and zinc. Calcium is well known for being essential to bone health. But not everyone realizes it plays a crucial role in muscle function as well. Healthy calcium levels are integral for muscle contractions of all kinds. As for magnesium&sbquo; deficiencies of this essential mineral often coincide with muscle weakness as well as muscle cramps. Additionally&sbquo; studies and research suggests that zinc may help with muscle growth. Complete F-M also features a mixture of amylase and lipase. These two substances are enzymes&sbquo; chemicals which help speed up chemical transformations in the body. Amylase is found in the saliva of our mouths. It's responsible for beginning the process of turning starches into sugar for digestion. Lipase on the other hand catalyzes the break down on lipids (fats). The reason these may help muscles and joints is because they may potentially help with absorption of nutrients. This may help our bodies have everything they need for healthy the growth and function of joints and muscles. To support joint health&sbquo; Complete F-M is also formulated with Glucosamine Sulfate. This chemical is used by our bodies in the production of ligaments&sbquo; cartilage&sbquo; and a type of fluid that encompasses out joints. There are only a handful of the many ingredients formulated into Complete F-M. Talk with your healthcare practitioner to see if Complete F-M is right for your and your health needs. Nutri West provides nutritional supplements to health care professionals in order to optimize their patients&rsquo; well-being. It was founded in 1981 and has expanded into a worldwide company with state-of-the-art&sbquo; environmentally-friendly manufacturing and packaging processes. Its products are hypo-allergenic and have been formulated for the highest quality. These statements have not been evaluated by the Food and Drug Administration (FDA). These products are not meant to diagnoseÃ¢ÂÂ treat or cure any disease or medical condition. Please consult your doctor before starting any exercise or nutritional supplement program or before using these or any product during pregnancy or if you have a serious medical condition. 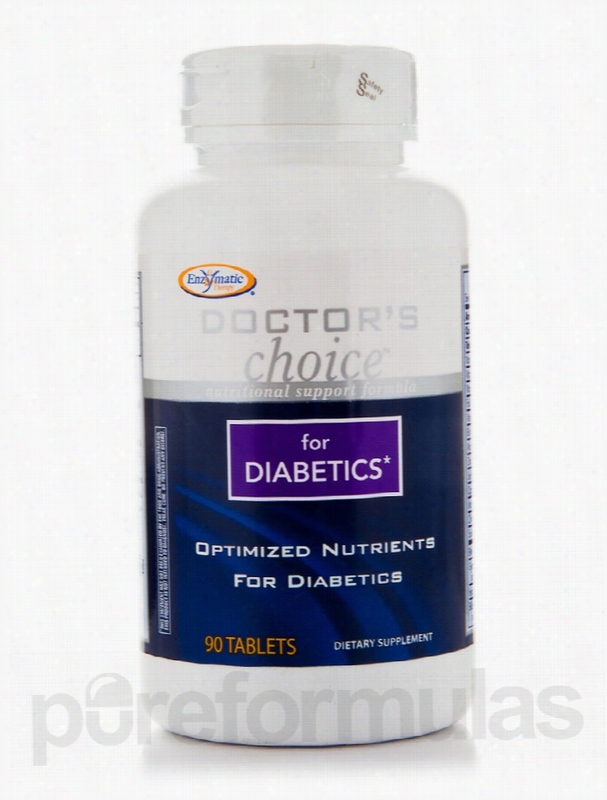 Enzymatic Therapy Cellular Support - Doctor's Choice for Diabetics -. Why Nutritional support?Individuals with diabetes have specific nutritional needs.Research has demonstrated multiple deficits between actual and recommended nutrient intakes in the diets of individuals with type-2 diabetesIndividuals with diabetes may be deficient in essential nutrients&sbquo; such as magnesium&sbquo; zinc&sbquo; chromium&sbquo; and vanadiumB vitamins can be depleted by some oral diabetes medications&sbquo; such as metforminWhy use Doctor's Choice&trade; for Diabetics?It provides optimized nutrients for individuals with diabetes.Doctor's Choice&trade; for Diabetics provides targeted nutritional support for individuals with diabetes. It is intended to be taken as a booster to a healthy diet and/or with a multivitamin-mineral supplement.This unique formula combines optimal levels of essential nutrients&sbquo; antioxidants&sbquo; minerals&sbquo; and vitamins to help the body function at its peak. These statements have not been evaluated by the Food and Drug Administration (FDA). These products are not meant to diagnoseÃ¢ÂÂ treat or cure any disease or medical condition. Please consult your doctor before starting any exercise or nutritional supplement program or before using these or any product during pregnancy or if you have a serious medical condition. 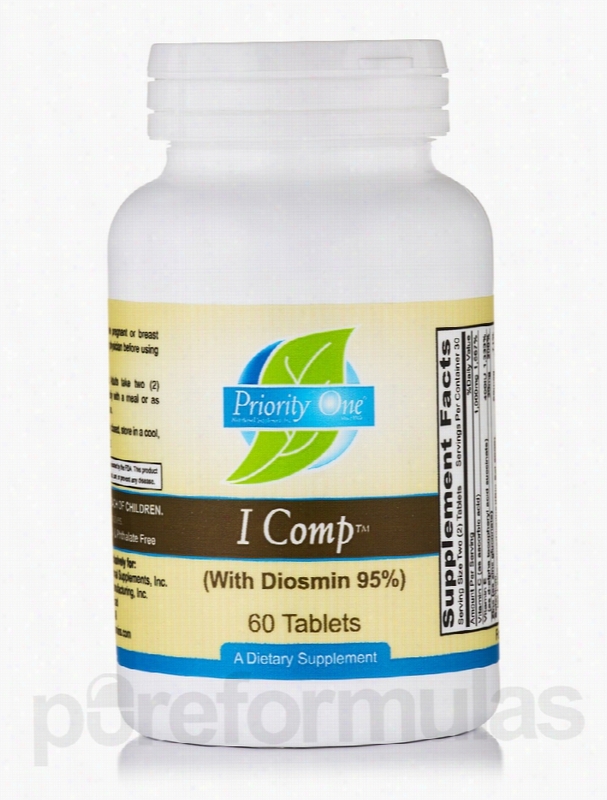 Priority One Ocular Health - I Comp (With Diosmin 95%) - 60 Tablets. 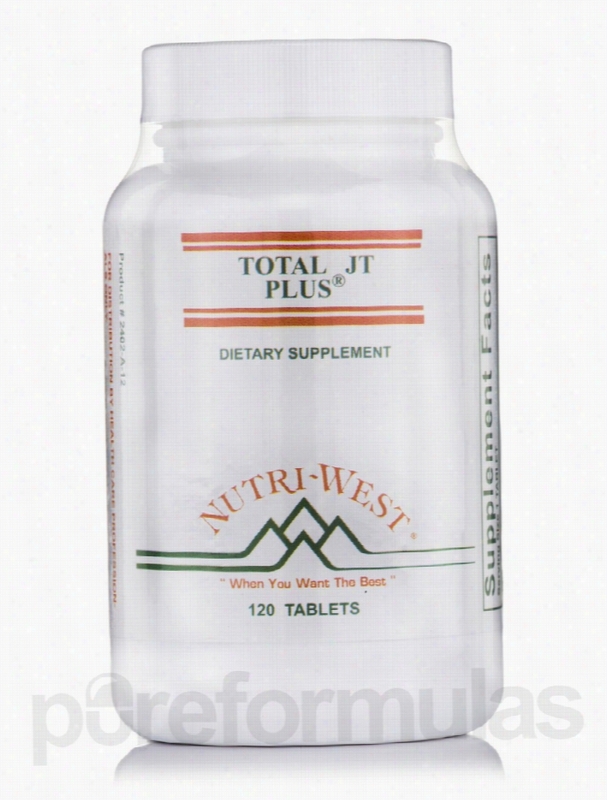 Nutri West Joint Support - Total JT Plus - 120 Tablets. Feel like you could use some joint support? Aging&sbquo; poor diet&sbquo; or a sedentary lifestyle may leave you with certain joint discomforts. That's why it's important to support your joints and bones the best you can with a nutritious diet. However&sbquo; given how hectic our daily lives can be&sbquo; in addition to how easy it is to have a poor diet&sbquo; it's entirely possible that gaps in our Nutrition can compromise our joint health. Well&sbquo; that's why Nutri West has formulated Total Joint Support&sbquo; a nutritional supplement formulated with a variety of ingredients that may offer the total joint support that you need. Check out these ingredient highlights: Glucosamine Sulfate This ingredient is often used in joint support supplements since our bodies use it to produce a variety of substances that support joint health like tendons&sbquo; ligaments&sbquo; and cartilage. Soluble Trachea Total Joint Support features this ingredient because it may be a source of chondroitin. Chondroitin is often featured along side glucosamine because the two may work in conjunction to help support the development and maintenance of cartilage. If we're talking about joint support&sbquo; healthy cartilage is key. Cartilage is flexible connective tissue that acts as a cushion between joints. Therefore&sbquo; during movement&sbquo; the ends of the bones don't grind against each other. Now&sbquo; during osteoarthritis&sbquo; cartilage between joints begins to degrade&sbquo; causing the bones to grind. This is why supporting cartilage health is essential&sbquo; and that's why Total Joint Support features ingredients that may do just that. Milk Thistle This botanical is featured in Nutri West's joint support supplement because it may feature some anti-inflammatory and antioxidant properties&sbquo; which may support overall health and wellness. For the full list of what's in Total Joint Support&sbquo; click the &quot;Ingredients&quot; tab above! Nutri West provides nutritional supplements to health care professionals in order to optimize their patients&rsquo; well-being. It was founded in 1981 and has expanded into a worldwide company with state-of-the-art&sbquo; environmentally-friendly manufacturing and packaging processes. Its products are hypo-allergenic and have been formulated for the highest quality. These statements have not been evaluated by the Food and Drug Administration (FDA). These products are not meant to diagnoseÃ¢ÂÂ treat or cure any disease or medical condition. Please consult your doctor before starting any exercise or nutritional supplement program or before using these or any product during pregnancy or if you have a serious medical condition. 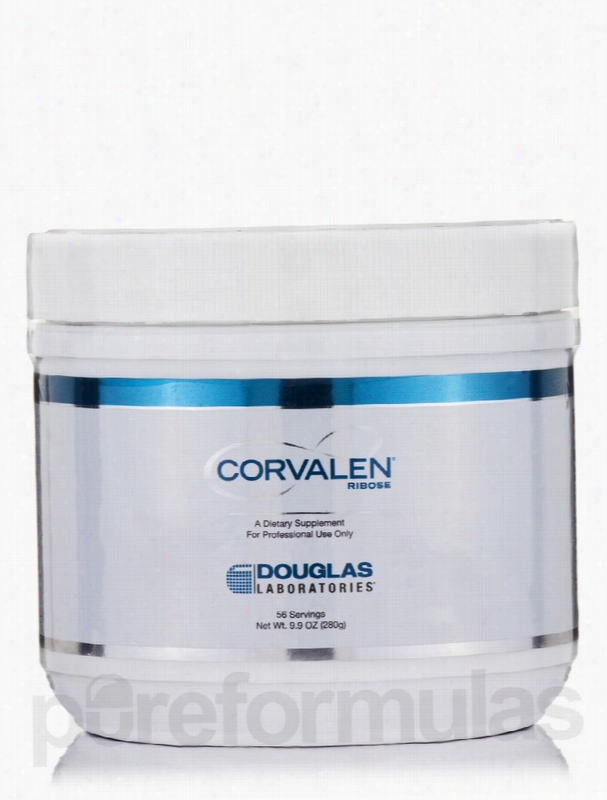 Douglas Laboratories Cellular Support - Corvalen Ribose - 9.9 oz (280. 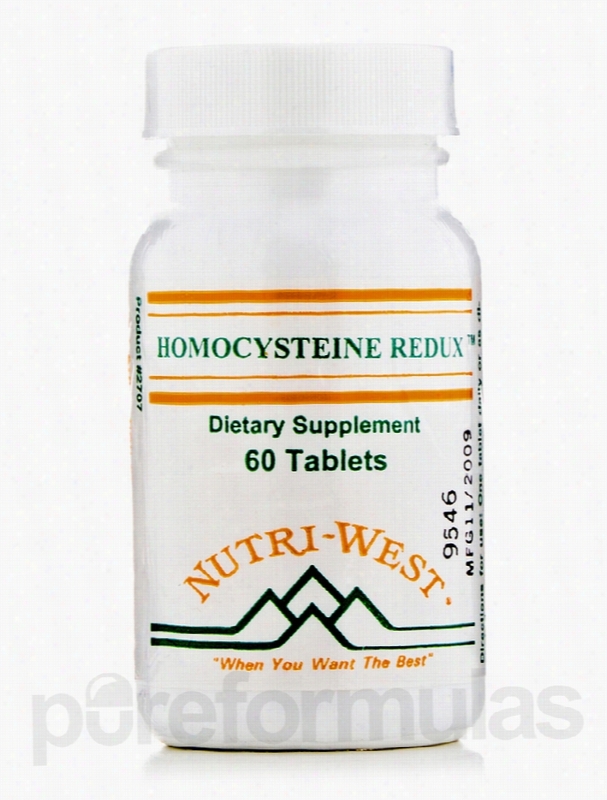 Nutri West Cardiovascular Support - Homocysteine Redux - 60 Tablets. Homocysteine has been the talking point of many cardiovascular discussions lately. Although research is still being conducted&sbquo; some speculate and suggest that high levels of homocysteine may negatively impact cardiovascular health. Homocysteine is an amino acid. Amino acids are the essential building blocks of protein. Our bodies acquire homocysteine in particular from the consumption of meats; therefore&sbquo; a diet high in animal protein and low in fruits and vegetables (which can feature nutrients linked with suppressing the amino acid) can increase one's susceptibility for high levels of homocysteine. That's why Nutri West has formulated Homocysteine Redux&sbquo; a Nutritional supplement designed with ingredients that may help to lower the body's levels of homocysteine. Homocysteine Redux includes vitamin B12. This essential vitamin supports brain and nerve health as well as the proper maintenance and function of blood cells. Vitamin B6 (pyridoxine) is also included in Homocysteine Redux because it can potentially help the body properly utilize ingested fats&sbquo; sugars&sbquo; and protein. Folic acid is also included because folic acid levels are necessary for keeping blood healthy. Red Beet&sbquo; another Homocysteine Redux ingredient&sbquo; may help support oxygen levels in the blood. Magnesium is also included since studies and research suggests that it may also aid in lowering homocysteine levels. There are only some of the ingredients featured in Homocysteine Redux; but what's great is that lowering homocysteine levels is only one aspect of these nutrients. Many of them also offer other potential health benefits since they are also essential nutrients. If you think you may benefit from Homocysteine Redux&sbquo; talk with your healthcare practitioner. Nutri West provides nutritional supplements to health care professionals in order to optimize their patients&rsquo; well-being. It was founded in 1981 and has expanded into a worldwide company with state-of-the-art&sbquo; environmentally-friendly manufacturing and packaging processes. Its products are hypo-allergenic and have been formulated for the highest quality. These statements have not been evaluated by the Food and Drug Administration (FDA). These products are not meant to diagnoseÃ¢ÂÂ treat or cure any disease or medical condition. Please consult your doctor before starting any exercise or nutritional supplement program or before using these or any product during pregnancy or if you have a serious medical condition. 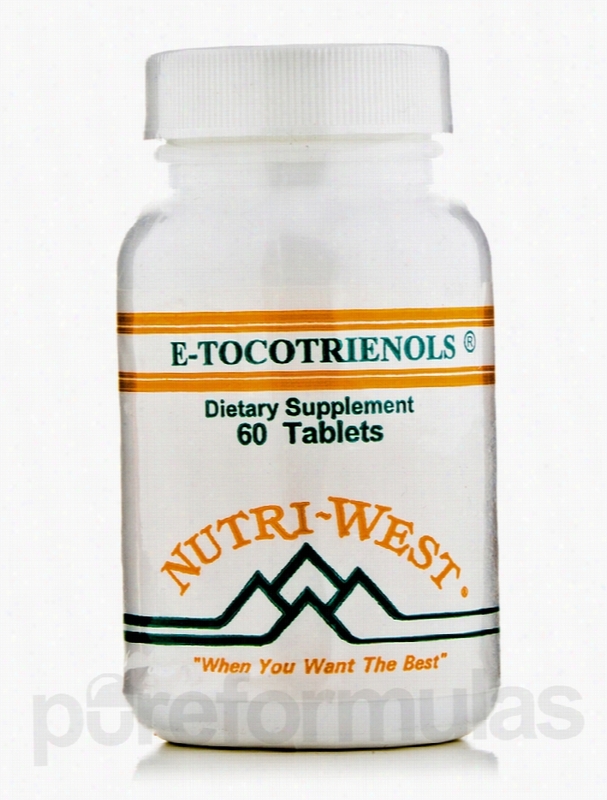 Nutri West Cardiovascular Support - E-Tocotrienols - 60 Tablets. Vitamin E is an essential nutrient&sbquo; meaning our bodies absolutely require it for maintaining health and sustaining life. However&sbquo; we can't synthesize it on our own; it must be ingested and absorbed. Foods that may feature vitamin E include eggs&sbquo; vegetables&sbquo; wheat germ&sbquo; and more. Now the issue is that sometimes our busy work schedules or even certain medical conditions&sbquo; prohibit us from having a nutritionally-optimized diet. That means that we would possibly need another way to get this essential vitamin. That's where E-Tocotrienols from Nutri West comes in. This dietary supplement features two forms of vitamin E ( Tocopherol and Tocotrienol ) in addition to Rice Bran . One of the most noteworthy and currently relevant benefits of vitamin E is its possible antioxidant properties . You've probably heard the term antioxidant before; well&sbquo; in case you weren't sure what it was referring to&sbquo; it's simple. An antioxidant is any substance that &quot;scavenges&quot; the body for free radicals. A free radical is an atom that has an unpaired electron. Studies and research suggest that these free radicals may damage certain cells&sbquo; which could lead to heath problems down the road. The health of our brain &sbquo; Nervous &sbquo; and cardiovascular system may rely in part on vitamin E levels in the body. Since vitamin E plays a role as an enzyme activity regulator&sbquo; some individuals use it for deterring muscle damage after workouts as well as potentially promoting muscle strength. The rice bran featured in Nutri West's vitamin E supplement may help support cardiovascular health by possibly regulating the absorption of cholesterol. Always consult your healthcare practitioner before starting any type of dietary or nutritional supplement. Nutri West provides nutritional supplements to health care professionals in order to optimize their patients&rsquo; well-being. It was founded in 1981 and has expanded into a worldwide company with state-of-the-art&sbquo; environmentally-friendly manufacturing and packaging processes. Its products are hypo-allergenic and have been formulated for the highest quality. These statements have not been evaluated by the Food and Drug Administration (FDA). These products are not meant to diagnoseÃ¢ÂÂ treat or cure any disease or medical condition. Please consult your doctor before starting any exercise or nutritional supplement program or before using these or any product during pregnancy or if you have a serious medical condition. Progressive Labs Cardiovascular Support - Curcumin BCM-95 - 60. Recent studies and research suggest that Curcumin&sbquo; derived from the root of turmeric&sbquo; possibly possess numerous health benefits for our bodies. In fact&sbquo; for hundreds of years&sbquo; turmeric was used in traditional Ayuverdic medicines as well as in culinary applications. That's why a curcumin supplement like Progressive Labs' Curcumin BCM-95 features 800mg of Curcumin. Not only is Curcumin the reason why turmeric is yellow&sbquo; it's also a naturally occurring antioxidant known as a polyphenol. Essentially&sbquo; an antioxidant scavenges our bodies and eliminates what are known as free radicals&sbquo; atoms with unpaired electrons that could potentially harm our bodies. As such&sbquo; some have suggested the possibility that a curcumin supplement like Progressive Labs' could be used in promoting cardiovascular health. There is even additional research into the possibility that a curcumin supplement could also act as an inflammatory&sbquo; which could help alleviate symptoms of certain inflammatory conditions. Recent studies have also proposed to possibility that a curcumin supplement could even promote immune system health by fostering the growth of a protein called Cathelicidin antimicrobial peptide (CAMP)&sbquo; which helps our immune system fight viruses and bacteria. Generally&sbquo; our bodies don't absorb curcumin very efficiently. But in order to remedy this issue of bioavailability (the rate and extend that our bodies absorb a drug or nutritional supplement)&sbquo; Progressive Labs' formulated their curcumin supplement with Curcumin BCM-95. This means it's formulated with ingredients that promote faster absorption. It also supports greater quantities of curcumin making its way to the blood stream&sbquo; while making sure that higher levels of the product stay in your body longer. Interested in giving a curcumin supplement a try? 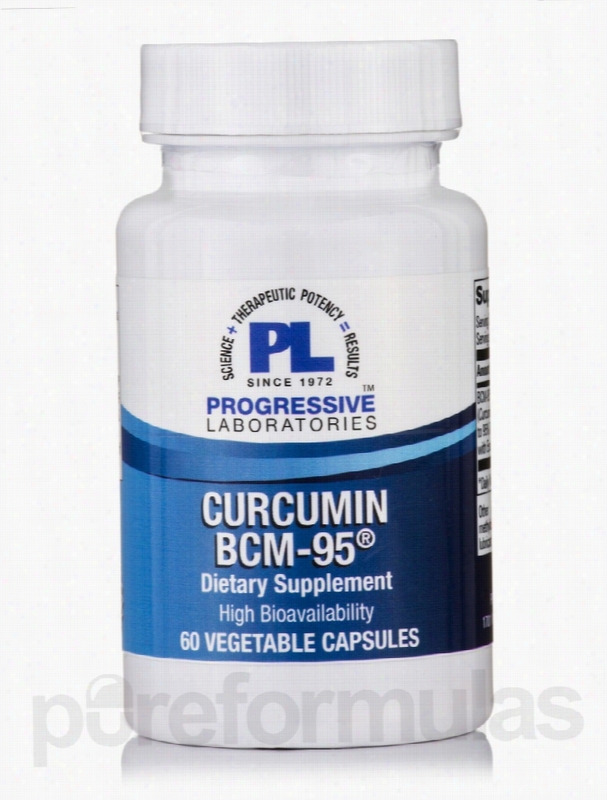 Then Progressive Labs' Curcumin BCM-95 might be right for you. Progressive Labs has been a family owned manufacturer and distributor of nutritional supplements for 40 years. Progressive Labs has supplied over 25&sbquo;000 customers with professional grade vitamins&sbquo; Herbals&sbquo; and dietary supplements. These statements have not been evaluated by the Food and Drug Administration (FDA). These products are not meant to diagnoseÃ¢ÂÂ treat or cure any disease or medical condition. Please consult your doctor before starting any exercise or nutritional supplement program or before using these or any product during pregnancy or if you have a serious medical condition. Perque Nervous System Support - Endura/PAK Guard - 180 Capsules. The simple fact is that living in today&rsquo;s stressful world takes its toll on everyone&rsquo;s health. To combat the ravages of modern life&sbquo; help is available in the form of Perque&rsquo;s Endura/PAK Guard. This powerful and effective supplement features a non-stimulant&sbquo; energy-boosting formula that delivers relief to those suffering from chronic fatigue or mental &ldquo;fuzziness&rdquo;&sbquo; while adding beneficial support for the repair of the intestinal walls. Endura/PAK Guard can assist if you have: Constant fatigue The need to increase endurance Difficulties with concentration and maintaining mental sharpness A desire for quick recovery following exercise The symptoms of chronic fatigue are quite often cured&mdash;or at least substantially reduced&mdash;by targeting the causes&sbquo; which often include a diet deficient in necessary nutrients&sbquo; a sedentary lifestyle that includes little or no physical exercise&sbquo; and irregular or insufficient amounts of sleep. Research has shown that effective nutritional supplementation with Essential vitamins and minerals can play a critical role in remedying deficiencies&sbquo; promoting the elimination of toxins&sbquo; and establishing an overall sense of wellbeing. 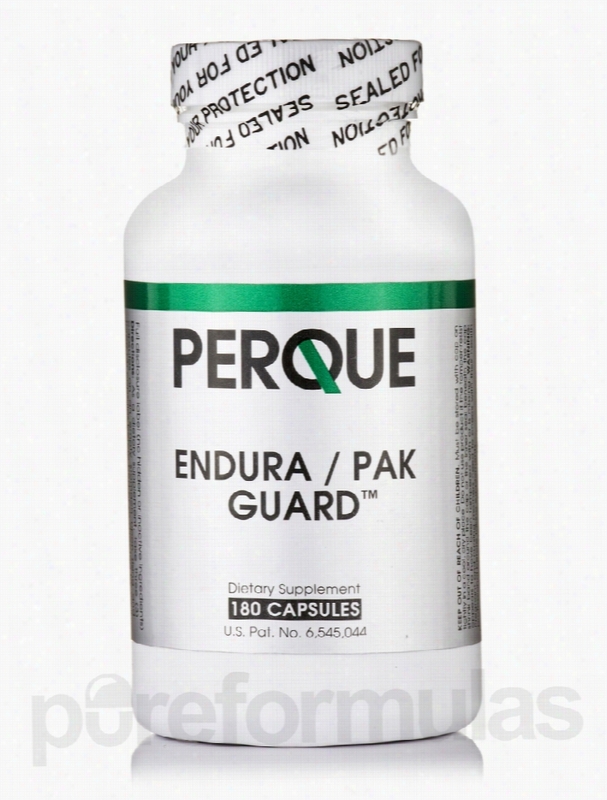 Endura/PAK Guard by Perque offers invaluable nutritional support for muscular stamina&sbquo; as well as mental clarity. The exclusive formula boasts a unique combination of the valuable amino acids L-glutamine and pyridoxal alpha-ketoglutarate (PAK); glutamine serves as the principal fuel for your intestines&sbquo; brain&sbquo; muscles&sbquo; and liver. This supplement is an exceptional option for those with intestinal irritations. Its ingredients assist in the regeneration of the intestines&rsquo; surface cells; this is particularly important due to the fact that intestinal surfaces are quite vulnerable to abrasion and erosion caused by mechanical action&sbquo; toxins&sbquo; or atypical bacteria&sbquo; and symptoms such as diarrhea or chronic constipation may result. For over two decades&sbquo; Perque has been formulating and manufacturing safe&sbquo; effective&sbquo; and unique dietary supplements. Perque products are often included in prestigious clinical studies&sbquo; and have been shown to have more bioavailability than competing products. Founder Dr. Russell M. Jaffe&rsquo;s goal has always been to integrate conventional medicine with a prevention-first mentality. These statements have not been evaluated by the Food and Drug Administration (FDA). These products are not meant to diagnoseÃ¢ÂÂ treat or cure any disease or medical condition. Please consult your doctor before starting any exercise or nutritional supplement program or before using these or any product during pregnancy or if you have a serious medical condition.